After his monumental landscape exhibition in 2012, the artist returns to the Guggenheim Museum Bilbao with an intense, immersive installation of portraits. Each work is the same size, was painted in the same time frame of three days, and shows the sitter in the same chair, illuminated by the bright light of southern California, against the same vivid blue background. Thanks to Hockney’s virtuoso paint handling, the uniformity of the elements in each painting underscores the differences between the sitters, allowing their personalities to leap off the canvas with warmth and immediacy. After the monumental and highly successful landscape exhibition David Hockney: A Bigger Picture at the Guggenheim Museum Bilbao in 2012, the artist turned away from painting and his Yorkshire home and returned to Los Angeles. He was recovering from a very difficult series of events, including a minor stroke, and he did not paint for so me time, which was unusual for him. Little by little, he became reacquainted with the quiet contemplation of portraiture, and in the summer of 2013 he painted the first of what was to become a collection of over 90 portraits, 82 of which can be seen in this exhibition. Each depiction — the result of intense scrutiny — becomes a kind of psychological exploration. Each work is the same size and shows the sitter in the same chair, illuminated by the bright, expansive light of southern California against the same vivid blue background. All were painted in the same time frame of three days. Thanks to Hockney's virtuoso paint handling, the uniformity of the key elements in each painting underscores the differences between the sitters, allowing their personalities to leap off the canvas with warmth and immediacy. In this exhibition, Hockney has created an intense, immersive installation that reexamines the ro le of the painted portrait in an age when selfies and photo - portraits have proliferated in social media. The only non - portrait in the show, a Still - Life , was created when one sitter was unable to make his appointment and the artist, primed and ready to paint, decided to portray what was available in his studio, a selection of fruit and vegetables. 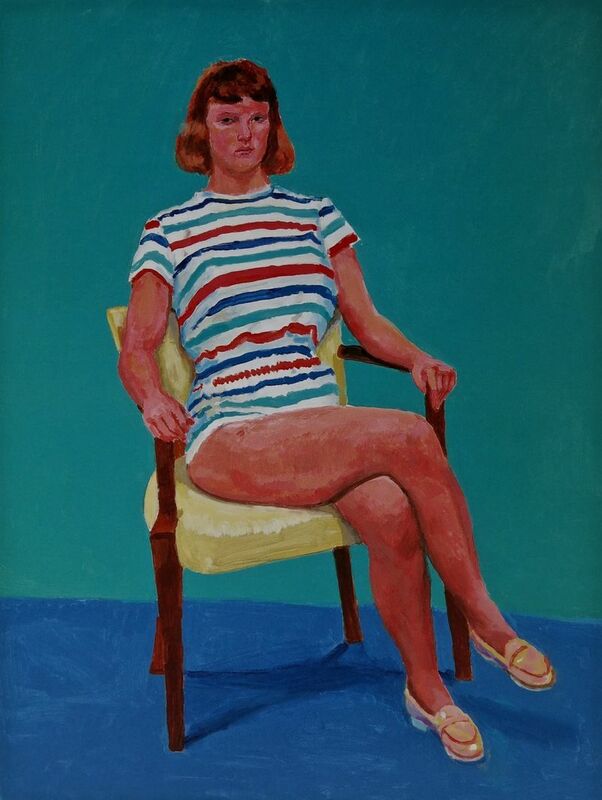 Sitting for David Hockney (Portrait of Edith Devaney, curator of the exhibition). ―Working with Hockney on his 2012 Royal Academy exhibition gave me the opportunity to get to know him well, and to speak to him at length about his work. Sitting for a portrait and spending a very concentrated time with him in the studio, however, revealed to me much more abou t his practice‖. His studio manager, Jean - Pierre Gonçalves de Lima, undertook the considerable task of scheduling all the portraits over a period of over two years. ―What he sees‖, acknowledging that we all see differently as our view is shaped by our many experiences. Being subjected to such close scrutiny makes one consider the effect of one‘s thought process s on one‘s physical appearance, and Hockney‘s consummate skill in depicting this internal complexity adds to the exhibition‘s psychological intensity. When my portrait had been completed I asked Hockney whether he thought he had captured me. ―I have got an aspect of you‖, he said. ―The first portrait captured a different aspect, and if I were to do a third it would be different again‖. 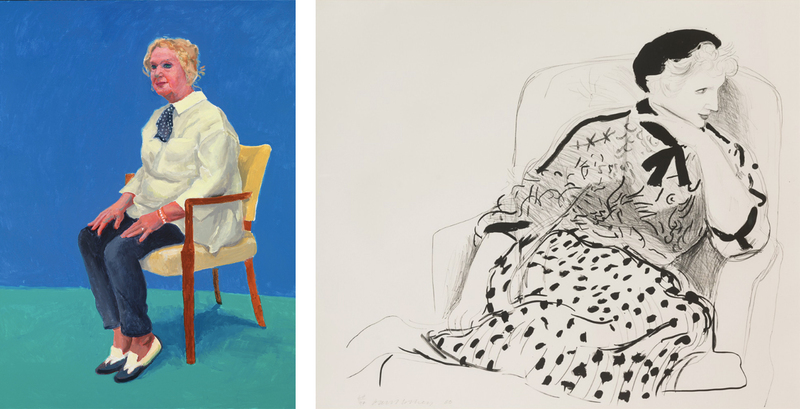 Hockney‘s fascination with portraiture is completely intertwined with his Deep sympathy for the individual , and all the f ragilities we embody, ―la comédie humaine‖ as he puts it. The British artist Tacita Dean spent time in Los Angeles in 2015, researching at the Getty Institute. 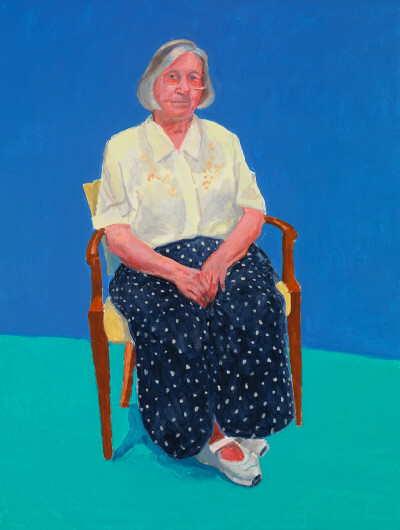 She visited Hockney, later filming him smoking in a contemplative state for her work Portraits (2016). When visiting she was accompanied by her eleven - year - old son Rufus. 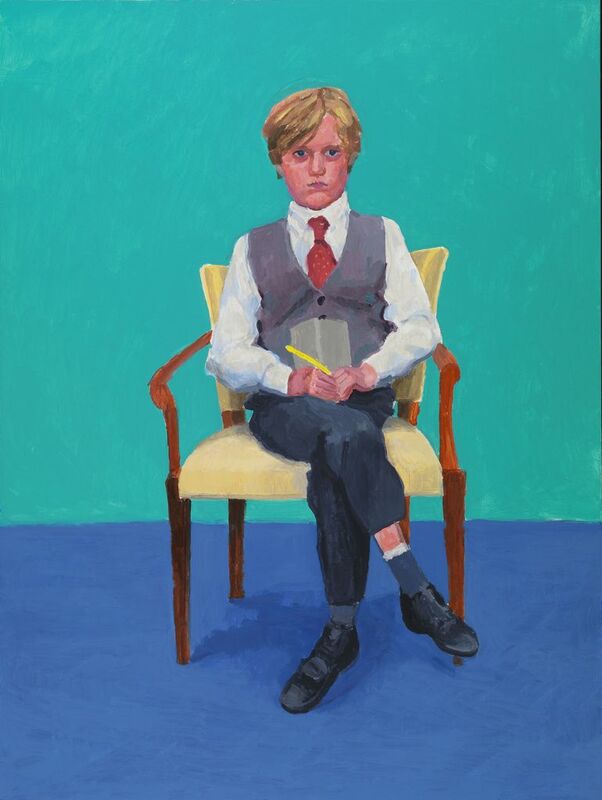 Reminded of himself at the same age, Hockney felt compelled to paint Rufus, who proved to be a very good sitter, becoming very engaged in the process. Jean - Pierre Gonçalves de Lima first met Hockney when he worked for him in his London studio. A Parisian musician of Portuguese parentage, he went on to manage Hockney‘s large studio in Bridlington during the creation of the Yorkshire landscape paintings. He has supported Hockney throughout the production of these portraits, scheduling each session, preparing the artist‘s painting materials and creating a remarkable archive of photographs to document interim stages of each portrait. Gregory Evans has been Hockney‘s close com panion over several decades and has a deep knowledge of his work. With the artist, he established and continues to manage David Hockney Studio, which oversees the artist‘s work and archives. 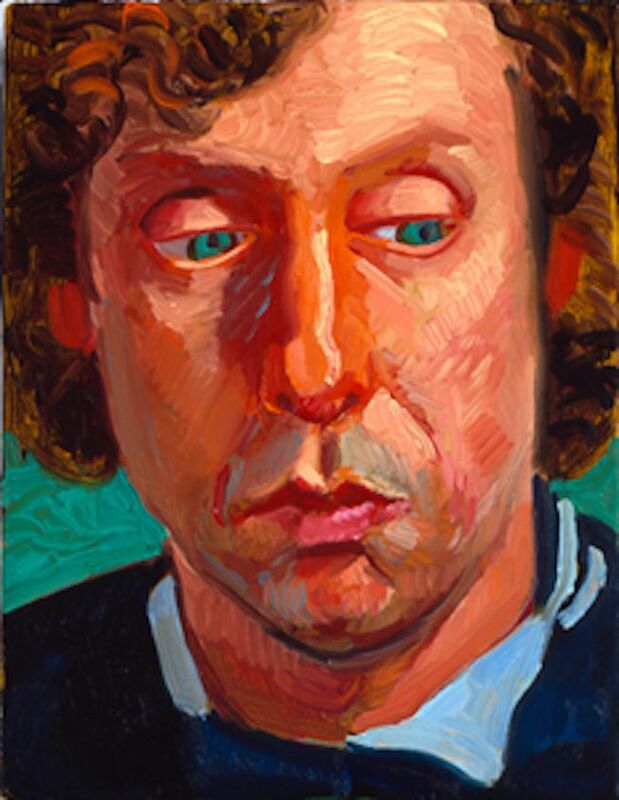 Since their first meeting in Los Angeles in 1971, Evans has been a frequent sitter and model for Hockney. Their easy relationship and Evans‘s considerable experience of sitting for Hockney make his portrait one of the most relaxed of the group. Since they first met in the 1960s, the textile designer Celia Birtwell has remained one of Hockney‘s closest friends. Birtwell and her previous husband, the fashion designer Ossie Clark, were the subject of the artist‘s famous double portrait. Mr and Mrs Clark and Percy (1970 – 71; Tate). Isabelle Clark, both of whose portraits can also be seen in the exhibition. An artist based in Boston, Bing McGilvray has been a friend for several decades. Hockney enjoys and values his relaxed company and ready wit, and they share a love of smoking. A frequent visitor to Los Angeles, McGilvray often keeps the artist company when members of Hockney‘s team are traveling. Hockney has painted him a number of times, each portrait capturing a different aspect of his friend. Born and raised in California, the conceptual artista John Baldessari has long been one of the West Coast‘s most celebrated contemporary artists. A few years older than Hockney, he has been a friend for many decades.